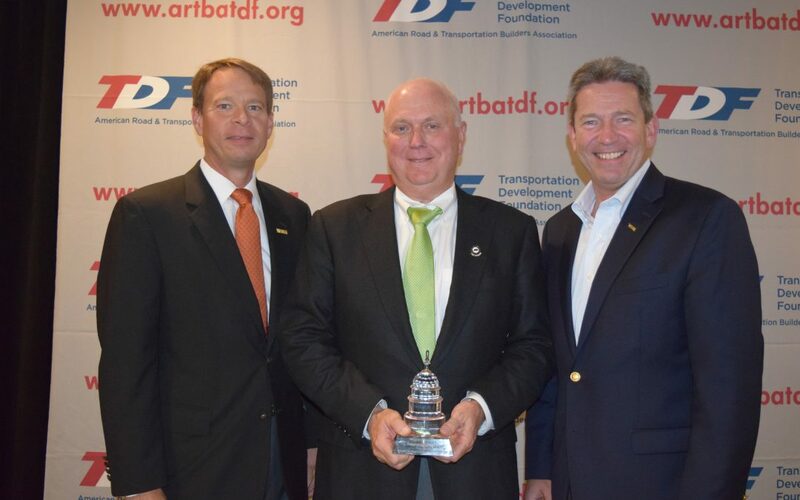 Left to right: Wright Brothers Construction Vice President Tony Boals, 2016 ARTBA Award Winner Steve Wright, and Tennessee Road Builders Association Executive Vice President Kent Starwalt. Steve Wright, president of Charleston, Tennessee-based Wright Brothers Construction Company, is the sole recipient of the ARTBA Award, the association’s highest honor. It was presented May 17 during the association’s Federal Issues Program in Washington, D.C. Established in 1960, the ARTBA Award recognizes individuals for outstanding contributions that have advanced the broad goals of the association. Past recipients have included several governors, more than 25 U.S. senators or representatives, two U.S. secretaries of transportation and dozens of top leaders and executives from government and the private sector of the transportation construction industry. Steve Wright’s volunteer leadership positions include: 2012 chairman, senior vice chairman, first vice chairman, southern region vice chairman, Contractors Division president, 2011 Strategic Planning Committee co-chair, 2007 Long-Range Planning Committee co-chair, Environmental Committee chairman, and the past five years as a trustee on the ARTBA Foundation board. He’s also a past president (1998) of the Tennessee Road Builders Association, ARTBA’s chapter affiliate, and a long-time TRBA board member. As an ARTBA Foundation trustee, he has played a key leadership role in the development of the annual Dr. J. Don Brock TransOvation Workshop and the Safety Certification for Transportation Project Professionals program. 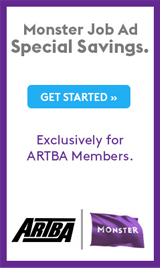 Wright also owns a piece of ARTBA’s history. He is the first graduate of the Young Executive Development Program—now known as the Industry Leader Development Program (ILDP)—to be elected chairman of the board.